Are you all ready because this is a big one!! It's a exciting but also a sad time at 2S4Y as we say goodbye to our current Winter Design Team and soon to welcome in our fresh Spring Team! Being that this is the Winter Design Team last post, we wanted to take the time and thank each and everyone of our Winter DT members. Your inspiration and talent that you all displayed here at 2S4Y is unmeasurable. All of your futures hold so strong in this competitive industry, Kazan & I both wish you all the success in the world. You all truly deserve it! Getting to know Hanneke has been a real treat! 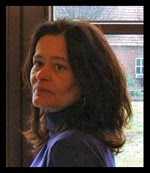 Hanneke is always upbeat, fun and super sincere. Her work is as sweet as she is and her talent is beyond inspiring. 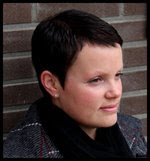 Thank you Hanneke for being part of the 2S4Y Winter Design Team! Much love and BIG 2 Sketches hugs to you. Heidi's talent is in a league all to her own. Her work is just jaw dropping gorgeous! Heidi kept us guessing, with no pictures of her on her blog. It was a lot of fun to finally see the beautiful face behind her beautiful work! Aside from her spectacular talent Heidi is super nice and a friend we will treasure forever! Much love and BIG 2 Sketches hugs to you. Seriously, we want to adopt Katie. She quite possibly be the nicest person ever!! 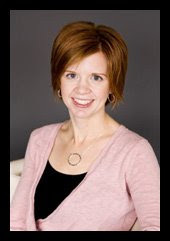 Katie's work says everything about her, simple, sweet, sophisticated & sassy! This girl is going to go far, the sky is her limit! 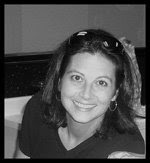 Thank you Katie for being such an awesome influence in our lives. Much love and BIG 2 Sketches hugs. Kristen is loads of fun! Her work is bright fresh and funky. We just adore her talent. Trips to her blog always contain lots of ooohhhing and awwwing. Her work is a whole shmorgusborg of treats! Thank you Kristen for sharing your amazing talent with us all! Much love and BIG 2 Sketches hugs. It has been such a pleasure to get to know you Peet. Your sincere and beautiful personality comes through into your talent. Your attention to detail is just breathtaking! Truly each one of your creations is a masterpiece. Thank you Peet for sharing your talent with us! Rae is a beautiful person, she is caring, loving and always encouraging. Rae is never far behind leaving loads of praise on everyones work. Not to mention her awesome talent, that is truly unique, and so inspiring. A style always to be remembered. Thank you Rae for bringing your sunshine to 2S4Y! 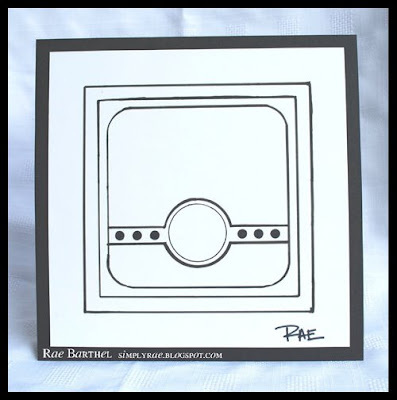 *Remember we would love to see your take on Rae's sketch however you are only required to make a card based off of Laura's Sketch 18 to be eligible for this weeks prize. cut, assemble and then embellish! The format of the cutting files can be used on Die-Cut machines like Pazzles Inspiration and Cricut (with Scal software) and are very easy to use, versatile and fun too. The printable stamps are just that, images that are sent to you through email that you print out using your home printer. After the images are printed out you can color them in or paper piece them like you would any other stamped image! One of the best things we love about the Printable Stamps and Cutting Files is that we don't have to worry about finding space in our craft rooms to store them... Simply keep them in a folder on your computer to use over and over again! What a great idea Regina! plus 3 other sets of their choice!! • The winning card will be announced as the Card of the Week on Sunday, February 1st here at 2 Sketches 4 You. BIG 2 Sketches 4 You hugs!! Laura & The Tremendously Talented Winter Design Team! Thanks Design Team and awesome about Regina being the sponsor. I have several of her printable stamps already and love them! Whoever gets the Card of the Week will love them! I absolutely enjoyed these last months to look at all those beautiful cards this winter DT made. Thank you girls for all the inspiration. I'm looking forward to the spring team, but first I'm enjoying these last two lovely sketches. 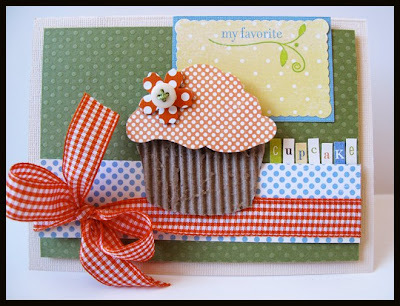 Awesome I like all of your cards I so love those cupcakes. And about the winter DT I'll thank you all for all the inspiration you've given us the past few months and I'm looking forward to see the spring team but first I HAVE to make those last two great sketches. Thank you winter DT for all the inspiration I got from you're cards!! This sketch is also great again and i finshed my card! I loved this sketch and the DT cards are fabulous! oh my heck what fabulous, yummy inspiration from the DT!! love, love, love the sketch! Thanks to the winter DT for the absolutely amazing inspiration you've provided these last few months. 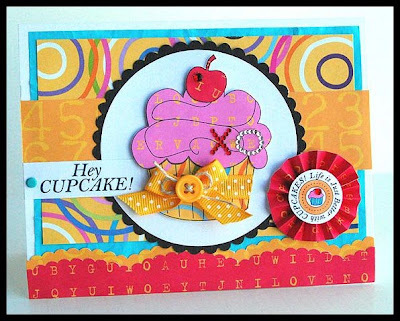 Your yummy cupcake cards this week are a fabulous send-off! Oh what a lovely way to say bye to your wdt!! GREAT IDEA! Thank you to the design team for all the inspiration. I can't wait to see who will be our new Spring team! Great sketch, great sponsor. Thank you winter DT members, loved watching your beautiful creations. A big thanks to the wonderfull winter DT!!! Thanks so much for all the inspiring cards!! Here is my take on this weeks sketch! Winter DT: Thank you for all of your fabulous ideas and projects - you have all been such an inspiration!!!!! 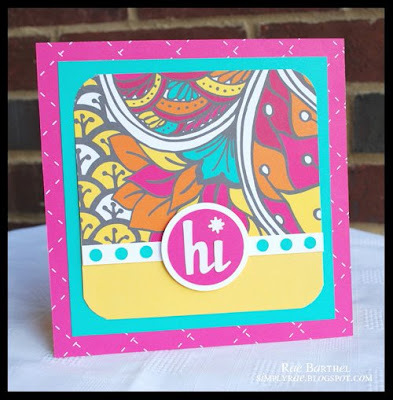 Regina: I totally LOVE all of your printable stamps and cutting files - they are spectacular!!!! I love all the work that the deigners have done with the cupcakes - YOU ALL ROCK!!!! Kazan & Laura....you girls are just AMAZING!!! Keep up the good work!! Fabulous samples from the DT - so inspiring. I was going oooo and ahhhh with every card - thanks for the inspiration ladies, you have all done a beautiful job as part of the DT...I love both sketches Laura and Rae - I am looking forward to making a card asap! Wow - thanks to the Winter DT for providing such amazing cards each week, you are truly an incredibly talented group of card designers!!! This is only my second challenge but I've enjoyed the DT's talent in that short time! I'm so glad I was able to paly again! 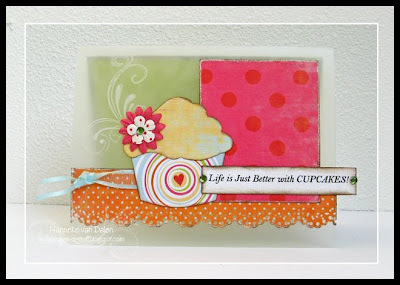 I've also posted my card on SCS with a link to your blog. So sad to see the Winter team leave. I've enjoyed all their talent & inspiration & this last card is no exception!! LOVE these cupcakes. Here's my take & I'm hoping to do the bonus later. I would love to say thank you to all of you!! I really enjoyed being a part of the Winter DT!!! This sketch is beautiful and so are all of the card!! What great great cards everybody!!! You all will be missed. Even if I don't make something that week I always love seeing everybody's work. So fun!!! The sketch is fun and the prize awesome looking. I love digital/hybrid projects. There are a few I'd love to purchase and download myself. The DT samples are just amazing. You really do have a wonderful DT at 2S4Y! I'm just blown away by all of the talent!! This design team rocked! I hope to see more of your work in the future. And good luck to all who enter for the Spring team! There is lots of talent out there! Thank you for another wonderful sketch! here is my card for this week! Wow! I love this sketch! Can't wait to start on it! Lovely sketch again and beautifull work DT. We will miss you!! Great sketch and the DT did a great job again! Thank you for your inspiration. I'm really curious about the spring DT but I guess they will be great also! I really gonna miss the winter DT, they are sooo amazing, but I´m exited to see what the new team comes up with! Wonderful sketches bith from Laura and Rae for the bonus sketch. I have had a play with both. I love the sketch and all the cupcakes from the DT. Thanks for all your inspiration girls!!!! fabulous sketch as always and great cards this week from everyone.....all the best to the "Winter Design Team" and thanks for all your inspiration. Thank you Winter Design Team!! Wow. amazing cards from you all! Awesome sketches Laura and Rae. I have loved the cards that the winter DT has made these past few months. Thanks for amazing inspiration. 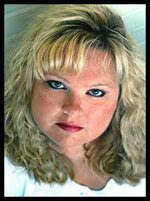 So glad your blogs are linked here so you can continue to inspire me. Well I played along once more I love the sketch hopefully I'll manage to find some time to make the bonussketch too. Another fine sketch AND beautiful layouts!! Great works DT..we are gonna miss you!! Hey great cards from the DT as always thank you! WOW WOW I'm in the love with the stamp set that is the prize this week. 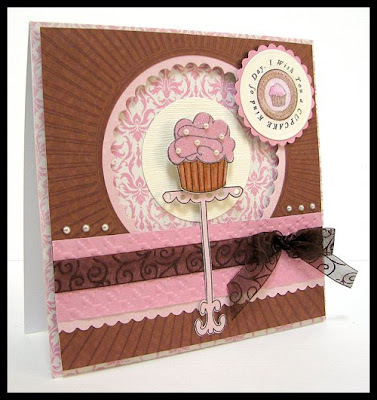 I ran with the cupcake theme, and went slightly mad with the embellishments. This is my first time to play along here on 2S4Y. Thanks so much for the great inspiration. I should have time to make a card for Rae's sketch, too, so I'll be back! Thanks for this great sketch, i had so much fun making it. Here it is. Fabulous sketch. Not sure why I struggled so much with it, but here is what I eventually came up with. Great sketch Laura, and a big thanks to your outgoing Dt for all the fabulous inspiration they have given me over the past three months. Wish you all the very best for the future. My card is on my blog. You can also see it in my gallery on SCS. Here's my take on the sketch, hope you like it. thank you to the amazingly inspirational winter dt. thank you for sharing your creativity & your blogs, it was so amazing every week, and so much fun to "look forward" to mondays...giggle. the sketches & creations are stunning, again, love them all & all the different takes. and thank you to the dt for all their inspiration and eye candy! Here are mine for the week! Here's my card for this week! Maybe I'll give the bonus sketch a try as well! You've all made such beautiful cards ♥ It's been a great winter DT!!! I also want to thank the designteam for your great cards and of course the inspiration, thanks!!! I am new to the 2S4U blog and I am in love with your sketches, your design team, and your inspiration. Thank you for all of it. Once again, this is a wonderful sketch and I so look forward each week to what the DT has created! Beautiful work, my Friends! I am glad you did a sort of good bye! :D That is so sweet. Everyone's cards look glorious here! I love each and every one of them! Thanks for another great sketch. I really love this one. I can't believe I've got my cards done on Tuesday! I had time and great inspiration with the sketches! Love this sketch...Thanks for the chance to enter! Great Sketch, thanks to the retiring DT members for their fantastic inspirational cards each week. It's my first one with a sketch from 2sketches4 you. All the DT cards are so beautiful. Wow all these cards are just super! Wonderful job ladies! I also wish to thank all the DT for all their Inspiration and the great cards they have made, and look forward to a new DT. The sketches this week are grat as they are every week which is why i keep coming back. This is my card this week. First of all, I would like to thank the amazingly talented Winter DT. Your work is always gorgeous and a true inspiration. Thanks so much! Gorgeous sketches and cards, girls!!! 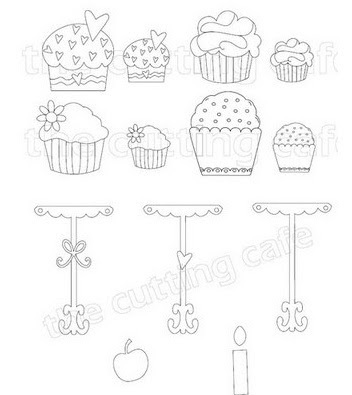 Unfortunately I don't own ANY cupcakes but I have followed the sketch. Here is my card for Rae's Bonus sketch as promised. Love Dt cards and two great sketches. Time flies, I can not imagine it is already time to say goodbye to the winter TD. Their work is so inspiring !!! Hope they continue to play along with 2s4y !!! hi again :) heres my take on raes cute bonus sketch thank you rae this was fun! have a super day! Thanks for entering me for the blog candy! Regina Easter is one of the most talented crafters I've ever seen! Here is my card for the bonus sketch. DT your cards are always incredible! Thanks for the inspiration! my card for this week. Thanks for the DS cards, they were fab again as always. I will miss seeing the winter DT work... Best of luck to you ladies!!! This sketch is so awesome!!!! 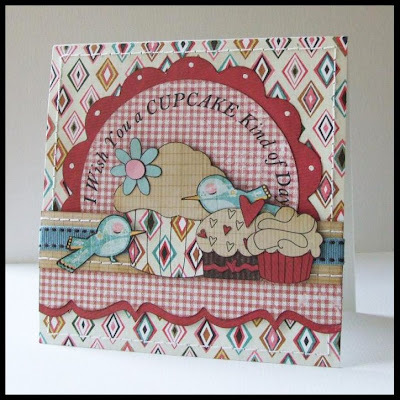 I love the cupcake theme and we just got in some great Maya Road Chipboard Cupcake Tins so I thought I do a cupcake card too! Thanks for the inspiration! Loved this sketch, Laura! Thanks! This is my first time to post a sketch. I found out about you when you had your design team call. I applied, and had such fun with the sketches, I thought I'd join you again! Beautiful sketch Laura, and I love my cupcake stamp so of course i had to play along and use it. Just so happens my hubby needed a birthday card for a little girl...worked out great. Thanks to the design team for more wonderful inspiration. Can't wait for the next round. I just wish I had more opportunity to create with the sketches and get them posted. Anyhow enough blabbing here is my take on the sketch. Here's my take on Laura's sketch and also a bonus sketch! Thanks for the great sketch, Laura! thank you so much design team! i'll definitely be following your progress... too sweet to pass up. i made some cards using Laura's sketch, and i think i'll try the bonus soon, too! Posting my card here for the first time! Great sketches and wonderful creations by the DT!! Excited to be able to play with both sketches this week! Also want to say the Winter DT did a great job! Thank you DT it been wonderful to see your creations. Hi, Thanks to the winter DT for all their insiration. Sorry can't do the direct link?? 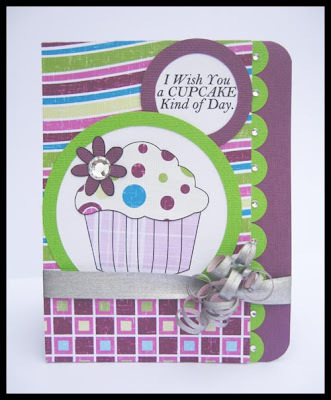 I love all the cupcake cards. So cute. And what an awesome prize for the card of the week. I've been a bit busy today! 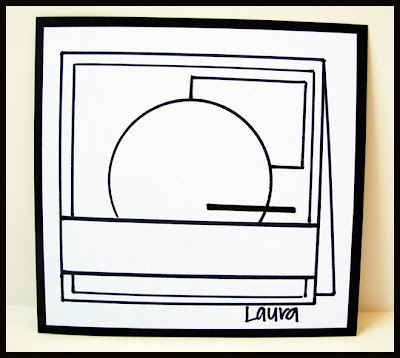 Managed to get 2 cards made from your gorgeous sketch Laura and also one from Rae's bonus sketch! You can see them here. Best wishes to the outgoing Winter DT and I'm looking forward to seeing who you've taken on board for the Spring team! Thank you girls for all the inspiration!!! I just like the cards. I want to thank the winter degisn team for all the inspiration. All your cards are wonderfull! I follow your blog for a long time, but now I really made a card with your sketch. What a fabulous sketch! I just love it. I got to play today. Here are my takes on Rae's fabulous bonus sketch! Some beautiful cards this winter DT have made thank you girls for all the inspiration!!! Another wonderful sketch! My card is HERE. Here is my take on thise weeks fabulous sketch. I too got some new cupcakes and couldn't think of a better time to use them. I had so much fun participating last week that I just had to give it another go-- I think I might be hooked! Attached is my link for Laura's sketch and Rae's bonus sketch.I really enjoyed both of them. Hi all, here's my card this week. So happy being able playing with your sketches again, made the sketch of this week and also the bonus! Yipppeee! I FINALLY got to play along again! I LOVE your sketches! Here is my card! Here is my take on this weeks sketch. Have a nice weekend. Good luck winter design team! And thanks again. I'm glad I've found some time for making this lovely sketch. Thanks Laura for your inspiration! What beautiful cards by everyone. The talent here is amazing. Thanks for sharing all the inspiration. Love those cupcakes! You have been a great inspiration girls! I just finished my card. Started yesterday, finished today. I am going to try to get to Rae's sketch this week, too. I have many ideas for it. Great sketch, great design team, great site! HERE is my card for this week! Wow! The DT cards are wonderful! How fun that Regina is the sponsor, yippee! Love her work.. I have made the bonus sketch also. It's on my blog. everyone has been so awesome here! i love this place! I will definately be keeping in touch! Thank you winter DT for all the inspiration I got from you!!! I can't wait to see who will be the new Spring team! This week the sketch was great and also the bonus sketch from Rae. What lovely cards from the DT. 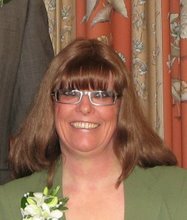 I have only just started blogging and I'm really enjoying seeing everyone's creations. It's great having other people to share your passion with. Here's my entry for Laura's Sketch #18, http://ruby2shoesdesign.blogspot.com/2009/01/funky-love.html. I really enjoyed the challenge, thank you! 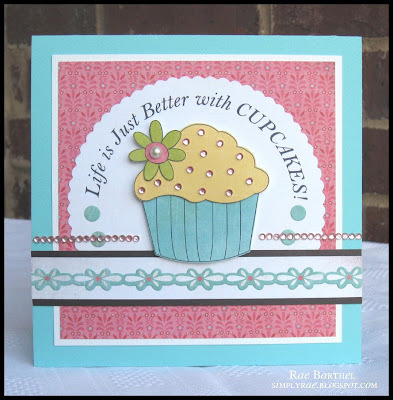 Adorable cupcake cards! Here is my take on Laura's sketch. Thanks!! FAB sketches and Gorgeous cards! Good luck winter dt in whatever the future holds for you all..you are all so very talented. I REALLY ENJOYED WORKING WITH THESE SKETCHES. HERE ARE MY CARDS. I like your beautiful sketches!!! I have to add my thanks to the Winter DT. It has been so much fun to wait for Monday morning to see what the amazing ladies here will come up with. I've been inspired each and every Monday! Thank you. Here are my cards for this week. I loved both of the sketches so made a card for each. Here's my card for Rae's bonus sketch. This is my first attempt at making my card link clickable, so I hope this works! Ok, so this is my first ever go at one of your fab sketches. The DT cards are absolutley stunning. What a lot of inspiration. Thank you. Here is my bonus sketch! Hope I'm not too late to play!!! Here's both of my cards for the 2 sketches. so... tweet & Howdy Cupcake! I just had to enter something for Rae's bonus sketch. It's so nice. I'm not sure this is one of my favourite cards, but I did enjoy playing! I have been stalking 4~ever and I finally got to play along... Thanks for a very creative sketch.. This was so much fun for me! Thank you for the inspiration! Your design team has some amazing work!! Another awesome sketch and DT examples to use for inspiration!! I really am cutting it to the last minute this week!!! Thanks for a great challenge!!! I had a blast using it for inspiration!!! 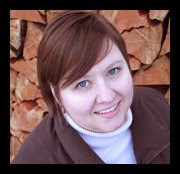 just wanted to stop by and thank everyone for their super nice comments and support in my adventure into blogdom! also to say i really enjoyed each and every one of your cards. Great sketch and samples! Congrats to a fabulous design team on a great run! HEre's my take, barely got it in! lol! What an awesome design team you've had! I really hate to see them go! Thanks for a great sketch this week! Great sketch, totally different style of card than I would normally make but I am really pleased with it. Thankyou to the departing Design Team, you have all been a fabulous source of inspiring designs.